Grand Rapids Symphony's "Lockington Conducts Dvořák"
Pre-concert conversation "Upbeat" at 7 p.m.
Mathias Alten, whose paintings can be found throughout West Michigan, may be the most important artist Grand Rapids ever has produced. In 2008, an early 20th-century landscape by Alten was featured on PBS-TV’s “Antiques Road Show,” where it was appraised at $20,000 to $25,000. Several historic buildings in Grand Rapids were touched by Alten. Two years ago, at the historic Pike House on Fulton Street, workers uncovered a carved and gilded sign, “Grand Rapids Art Gallery,” painted by the artist on the Greek Revival building on Fulton Street that once served as the home of the Grand Rapids Art Museum. The museum itself, in 1998, held a major retrospective of work by the German-born painter. Today, Grand Valley State University’s Gordon Gallery of Art has the world’s largest, public collection of work by the artist who was 17 years old when he immigrated in 1889 with his family to Grand Rapids. The 1907 painting of farmers harvesting crops, late in the evening, was the inspiration for Crosmer to compose a new work for the Grand Rapids Symphony that will be premiered Friday and Saturday, Nov. 18-19, in DeVos Performance Hall. “It doesn’t have much to do with pumpkins,” Crosmer said with a laugh. 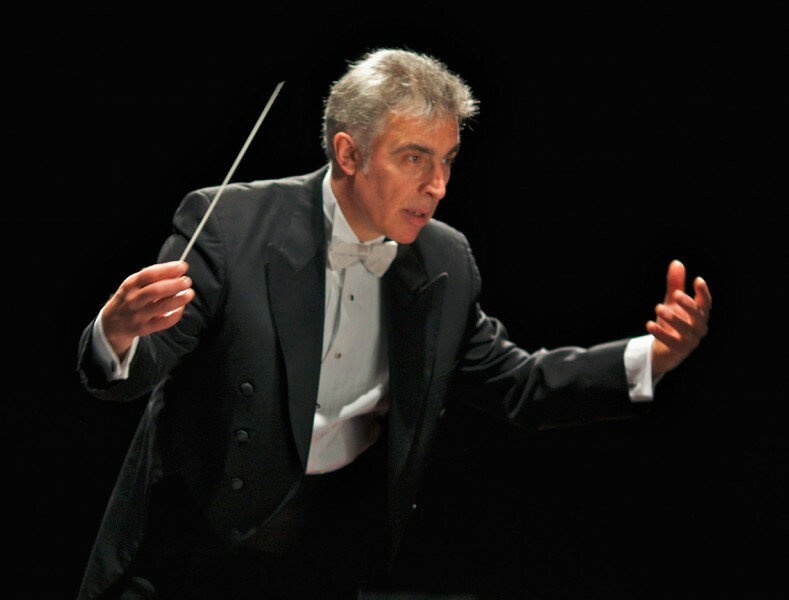 Music Director Laureate David Lockington returns to the podium to lead the Grand Rapids Symphony in the world premiere of “Gathering Sunset” at concerts on Friday and Saturday, Nov. 18 and 19. The former music director of the orchestra for 16 years also conducts Antonin Dvořák’s Symphony No. 6 for the 8 p.m. concerts in the Richard and Helen DeVos Classical Series. The Grand Rapids Symphony Chorus joins the orchestra for Ralph Vaughan Williams’ Dona Nobis Pacem, a memorial to the fallen men and women who served in World War I. Soprano Carrie Hennessey and baritone Leon Williams, both of whom have sung with the Grand Rapids Symphony in the past, return to DeVos Performance Hall as featured soloists. The painting depicts farmers, working late in the day, harvesting crops as the sun sets. The image contrasts the flaming sunset above the dark, earthy colors of the land. The colors of autumn surround the darkened silhouettes of the farmers at work. Jeremy Crosmer sets to music the experience of the last days of autumn before the cold, gray of winter. In his later years, Alten was an Impressionist, and Crosmer takes a similar approach in his seven-minute overture. It’s not about concrete melodies and formal structure but about his impressions of the scene. A native of Little Rock, Arkansas, Crosmer studied cello, music theory and composition at the University of Michigan, earning his doctoral degree there. He joined the Grand Rapid Symphony in 2012 at age 24. “Gathering Sunset” is the third work Crosmer has composed for the Grand Rapids Symphony as well as the second inspired by Alten. 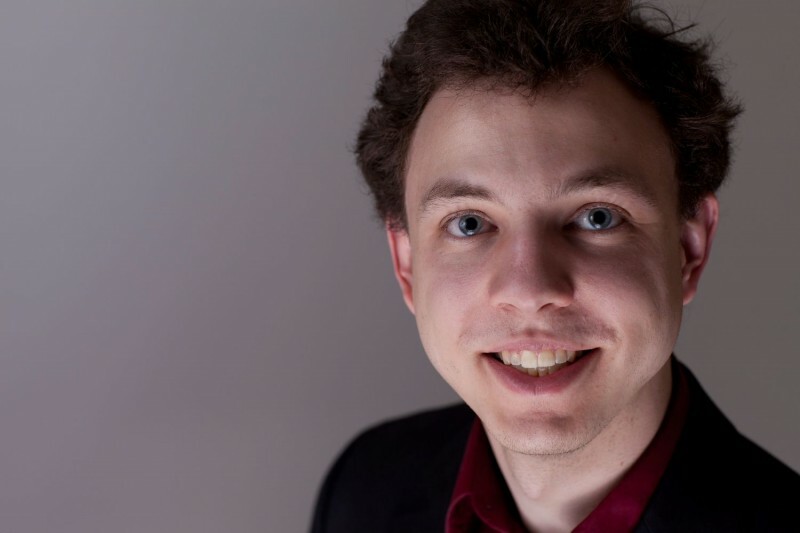 Last year, he participated in a project with two other composers to write a “Mathias Alten Triptych” with Alexander Miller, assistant principal oboist of the Grand Rapids Symphony, and Bill Ryan, professor of music at Grand Valley State University, to write a three-movement work inspired by the art of Alten. Entered in ArtPrize 2015 as a musical work, it won the St. Cecilia Music Center Judge's Prize for Best Classical Music Composition in ArtPrize Seven. “That’s how I met the Gordons,” Crosmer said. Today, George and Barbara Gordon underwrite the assistant principal cellist’s chair he occupies with the Grand Rapids Symphony, and the couple commissioned Crosmer to write another work for the Grand Rapids Symphony, inspired by Alten’s work. 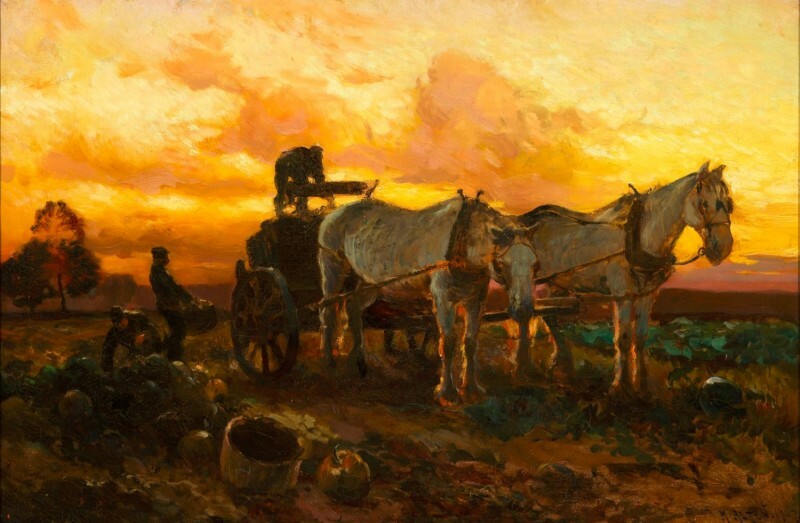 Crosmer explored more of the artist’s work at GVSU and selected “Gathering Pumpkins at Sunset” as his inspiration.